Could the rest of Massachusetts be next? At Nantucket’s annual Town Meeting in April, Isaiah Stover proposed an amendment to the island’s zoning bylaws that would essentially allow for dwellings under 500 square feet in several districts. But it’s illegal to live in one there — for now. At Nantucket’s annual Town Meeting in April, he proposed an amendment to the island’s zoning bylaws that would essentially allow for dwellings under 500 square feet in several districts. It passed and will go before the state attorney general for approval. If the go-ahead is given as expected, Stover, 40, may finally be permitted to complete and occupy the home he began building more than two years ago, and, according to state officials, Nantucket will officially be the first community in Massachusetts to approve zoning that specifically allows tiny houses. Rents during the winter average about $2,000 per month for a two-bedroom, Stover said, and during the summer, that jumps to about $4,000-plus. What about buying? The median household income on Nantucket is $86,529, but the median sales price is about $1.2 million (Realtor.com). Affordable housing has long been an issue on the island, in particular during the summer months, when seasonal workers flood the shores, forcing renters living here year round to scramble to find new or temporary accommodations for the summer as landlords raise the rent. An eight- or nine-month lease is not uncommon here. It’s all part of the annual “Nantucket shuffle.” Those islanders end up on couches or cramming into already overfilled homes and apartments, often illegally. “It’s common to bounce around,” Stover said. “I’ve done it for more than 20 years. I never lived in one place for more than one year, but then two years ago, I was trying to find a place and just couldn’t.” He related the story of a young man and his cousin who were living in their pickup, and said it’s not unheard of for people to live in sheds. “People are taking desperate measures just to try to stay here,” he said. 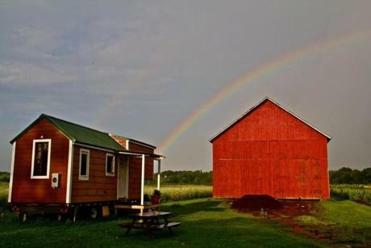 When Stover could not find an affordable place to rent, he began building a tiny house — first on leased land and then on a half-acre he purchased, living in it as he worked on it. Then a neighbor complained, and Santamaria paid him a visit. Finding no sources of electricity or heat, he asked Stover to move out. Some tiny homes violate state health and housing codes and the International Building Code, Santamaria said. “There are minimum height requirements of seven-foot ceilings in a sleeping room, which is a problem if you’re using a loft.” He also cites the state housing code’s requirement of a minimum of 150 square feet of floor space for each occupant. A 220-square-foot home occupied by a couple would be considered overcrowded — and illegal. Health Board requirements include running water and sewer hookups. “Tiny houses have to be connected to on-site septic or sewer and a well or town water department. They can’t just use holding tanks,” Santamaria said, noting that composting toilets are a possibility but require a variance from the Nantucket Board of Health. The houses must also be wired for electricity, either through a town connection or solar panels. The amendment won’t resolve all of these issues, Santamaria said; the houses will be addressed on a case-by-case basis. Beyond the legal issues, tiny houses have faced other obstacles, most prominently the fear that they will be a gateway for trailers, manufactured homes, and recreational vehicles. On Nantucket, where the Historic District Commission dictates aesthetics, tiny houses will need to conform. So goodbye, wheels. These houses will have to be fitted to fixed foundations, which will help them withstand hurricane-force winds, Santamaria said. “No one had any objection to their size — just the trailer,” Stover recalled of the Town Meeting debate. Santamaria said he got the same impression. It is perhaps no accident that Nantucket is first in line to approve tiny houses. The island has a history of resourcefulness. ”Getting lumber here, 30 miles out to sea, was hard,” Stover said, so people used to salvage it from shipwrecks and build small homes. Available land is scarce because much of the open green space is protected, so where will residents put these tiny homes? An aspiring homeowner could negotiate a lease with a landowner for acreage and the installation of septic, water, and electric. The ordinance limits tiny houses to one per lot. Stover is working with nonprofit and governmental organizations on lease possibilities. Vera Struck will take her Silver Bullet home on tour this summer as a model for sustainable living in a small space. Elsewhere in the state, tiny-house enthusiasts face similar obstacles, but some are forging ahead regardless, living in them in secret and waiting with trepidation for a neighbor to complain. That’s not the case with Vera Struck, 66, the founder of TerraBlu Teams, a sustainable-education nonprofit, and a member of the American Tiny House Association. 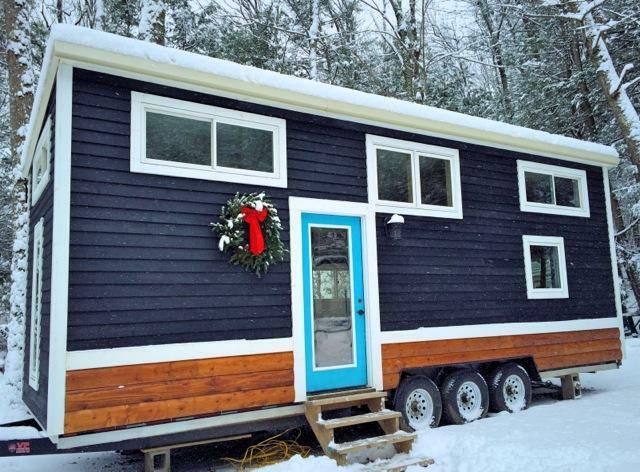 She raised money online to build her Silver Bullet home on wheels, constructing it for just under $19,000, including donated and recycled materials. She approached Newbury town officials about building it because she didn’t want to do it in secret. Struck’s motivation is twofold: affordable homes and sustainability. Her dwelling is off the grid, and this summer she’ll take it on a cross-country tour as a model for sustainable living in a small space. 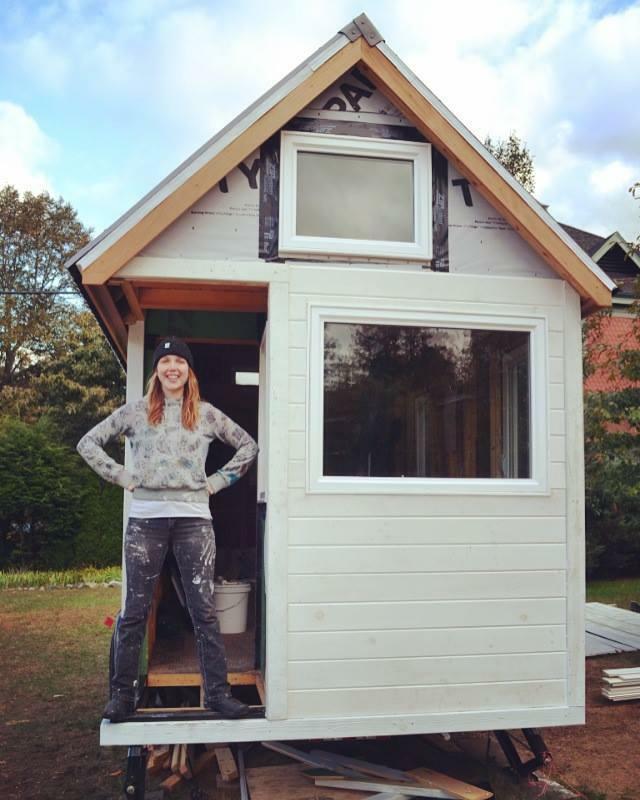 In Western Massachusetts, Sarah Hastings, 23, built her tiny house on the Mount Holyoke College campus as part of a class project. Furnished and decorated, it cost her $16,000. She relocated it to her landlord’s property in Hadley, moving in after graduating in 2015, and presented an amendment at Town Meeting in May to permit small, detached accessory dwelling units for single-family owner-occupied homes — essentially a backyard cottage. She lost, with some residents objecting because she lived in the house without a permit and others concerned that they would become “student stuffers” and mar the open landscape. Sarah Hastings, who built this 190-square-foot home as part of a project at Mount Holyoke College, lost her bid for a zoning bylaw change in Hadley. 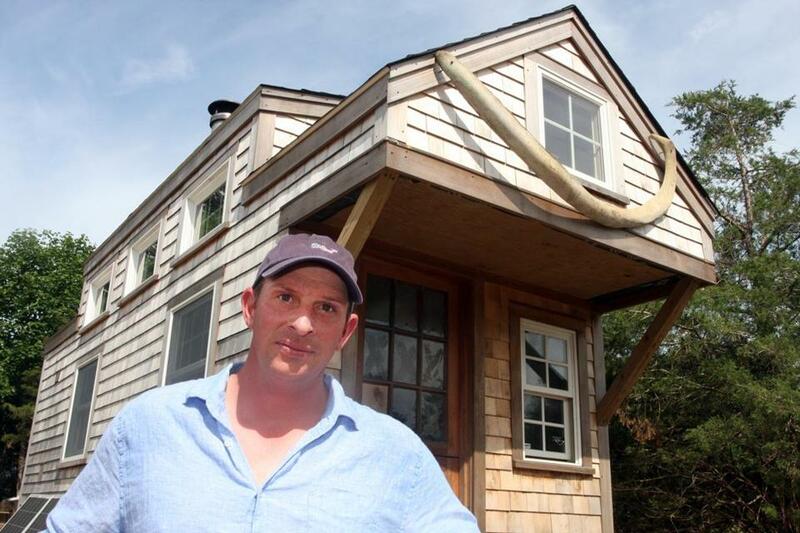 He spent $40,000 to build his 220-square-foot home, but is not allowed to occupy it for more than 30 days at a time. It’s sitting in Andover on his parents’ property, and he has moved into an apartment in Cambridge. “I miss my tiny house,” he said. Brad Allain's 128-square-foot home in Central Massachusetts. Miranda Aisling's 160-square-foot home in Concord was built as part of a public art project. 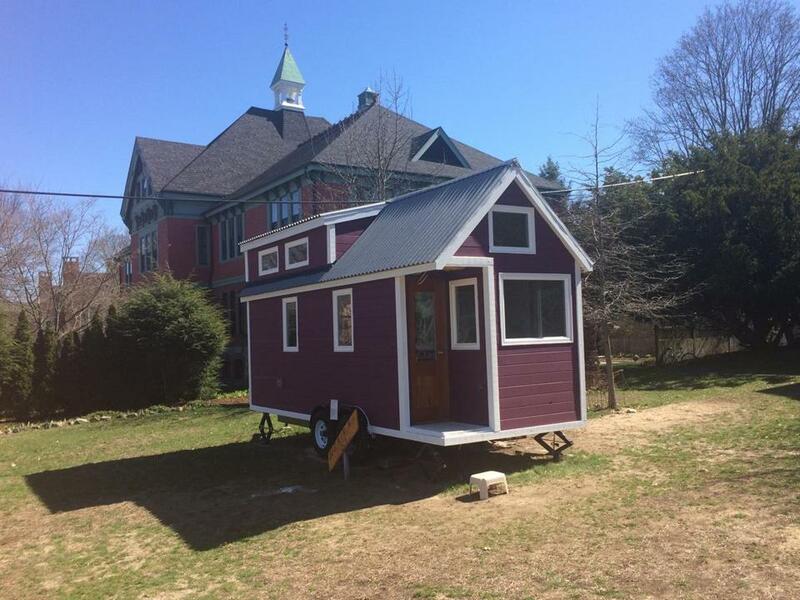 Her home and four others will be on display at the 2d BIG Tiny House Festival in Concord on July 16 from noon to 6 p.m.
Aisling’s completed home on display in Concord. 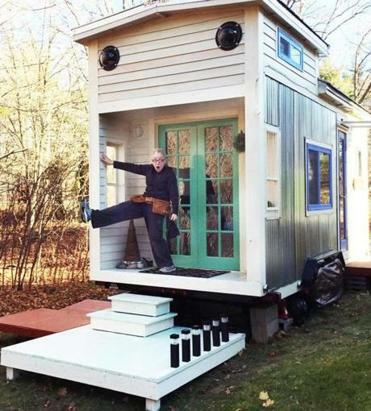 Christopher Page and his father built this 220-square-foot home in Andover. 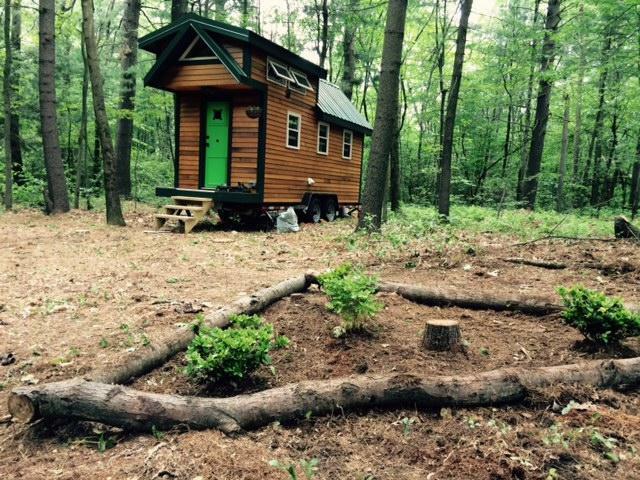 Jana Lembke's 224-square-foot home in Western Massachusetts, which she hopes to move into this summer. Janice O’Leary can be reached at janicemoleary@gmail.com.